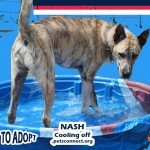 Nash continues to improve! He is now fine with our holding his collar, patting his head. If you move quick about his head he will have a quick movement to see what it is but that is all. 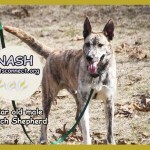 Nash has been with small dogs as well as medium and large dogs. We do supervise him when he is with small dogs but we do that with all big dogs because, well, they are dogs and life happens. He is not easily annoyed, he even handled Rascal’s jumping up and biting at him well. 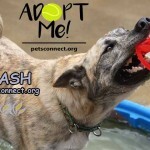 Rascal is a JRT pup that needs to learn some manners. Nash did a parenting sort of discipline and that was that. 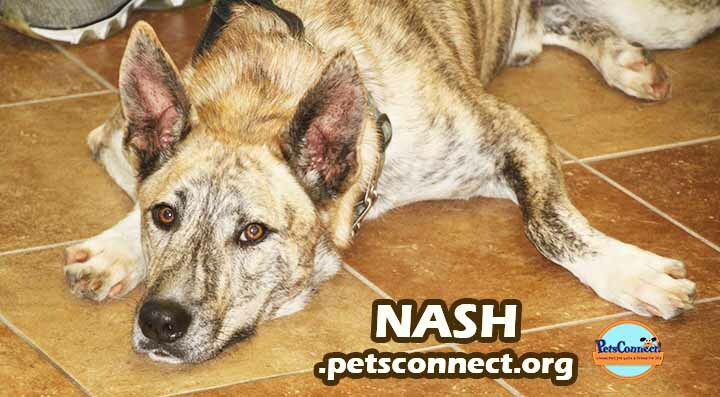 Nash is great with the medium and large dogs. He will play a chase game once in awhile but pretty much just stand there looking all awesome. 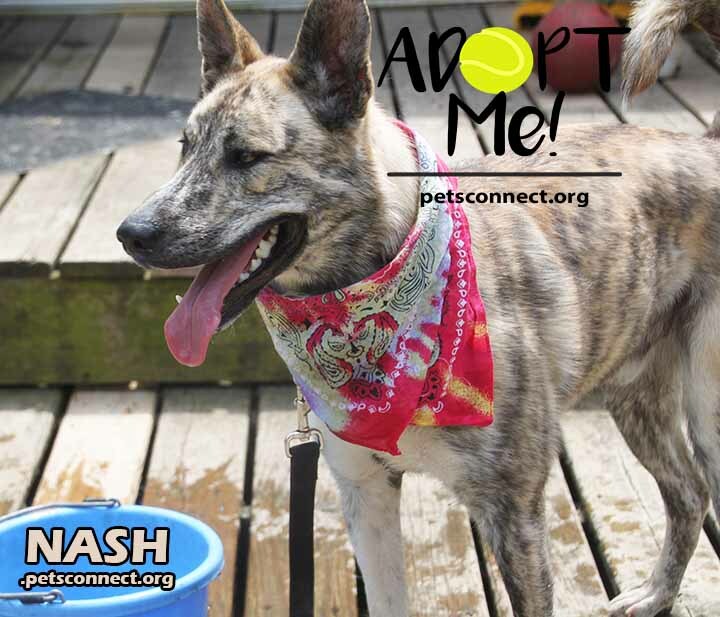 Nash needs to be adopted now. 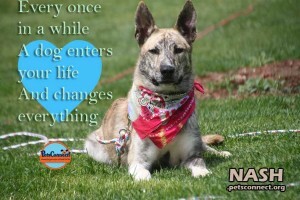 He needs someone who will take him places, work with him and participate in doggy obedience school. He needs someone who wants to look awesome with him! 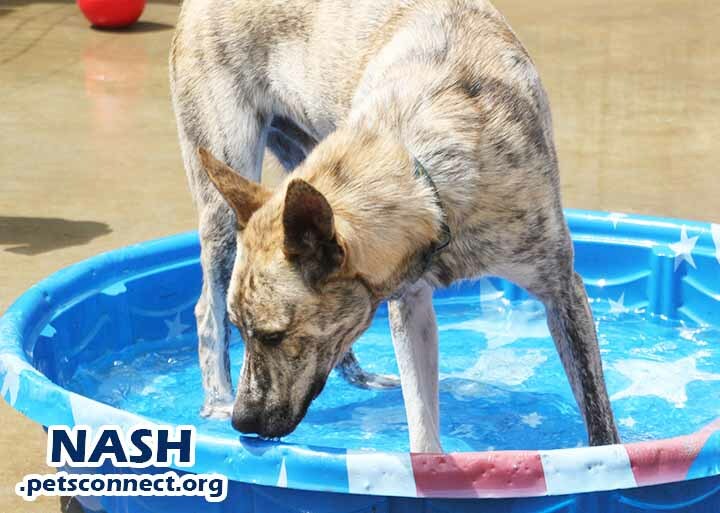 Nash loves to play in the water pool, especially if there are toys in the pool! 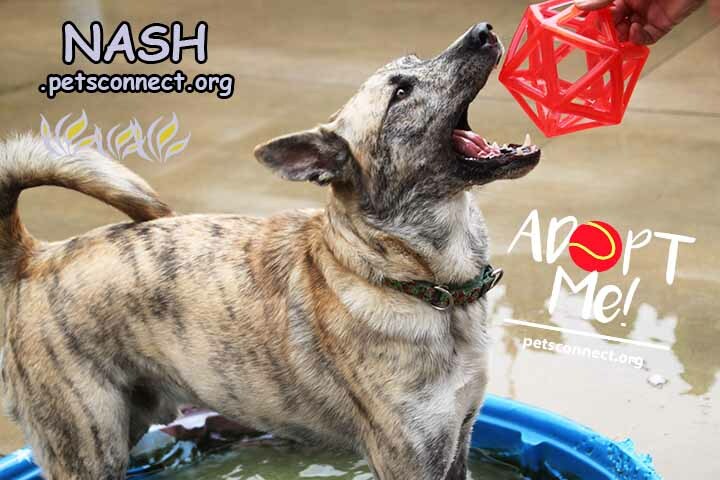 He will play fetch too. 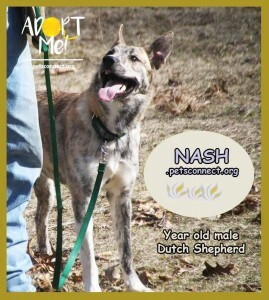 Nash will have been in our program for 20 weeks come this Friday. Whew.. that is a long time! He really needs to move into his forever home. 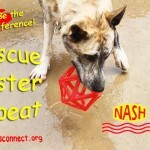 When we pull special needs dogs like Nash, it does take awhile, but Nash is good to be adopted now. 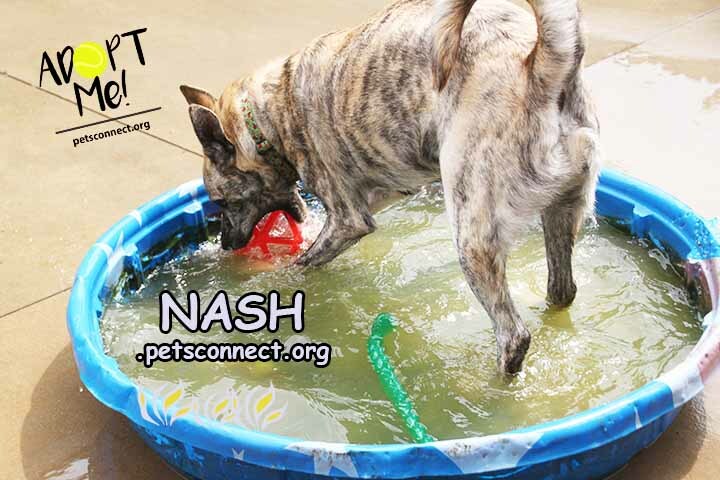 Nash is great with all the dogs – any size. In fact, he has this live and let live way about him and every now and then he will engage in a game of chase but mostly he is majestically just hangin. He no longer acts like he wants to bite when we go to put a collar on him, etc. He has really calmed down – a lot. 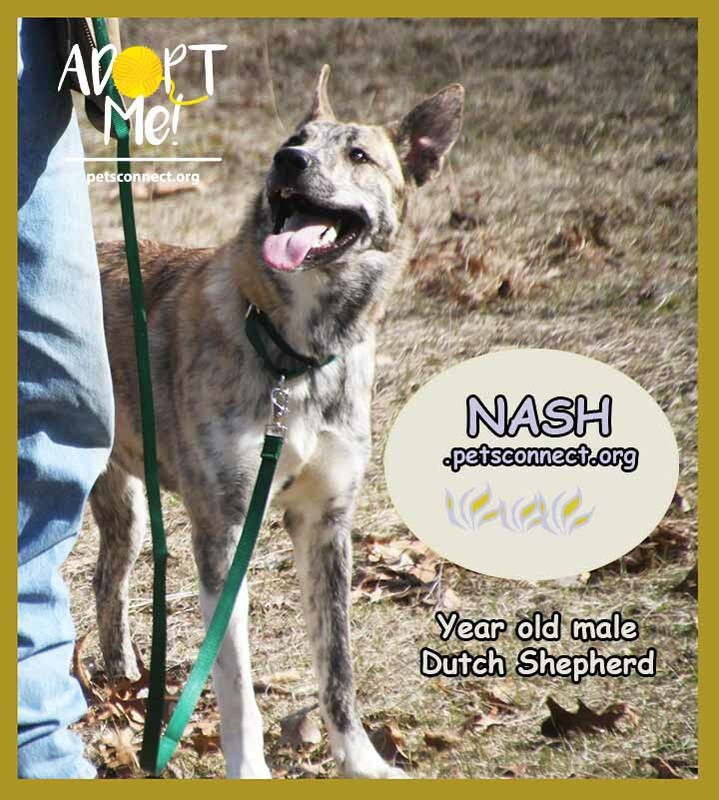 Nash needs to make use of his smarts, his willingness to learn and be obedient by participating in doggy obedience classes. 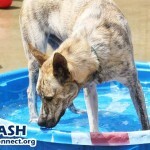 And socialization: he needs to get out to as many different places as possible. 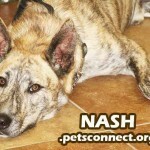 Nash has a drive which is a good thing, but not so good when it comes to cats and probably domestic birds or chickens. He has not even given the chickens on the other side of the fence notice but if loose I suspect he might. Anyway, he has unfolded to be a great dog. 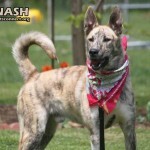 Now, just to get this boy adopted. 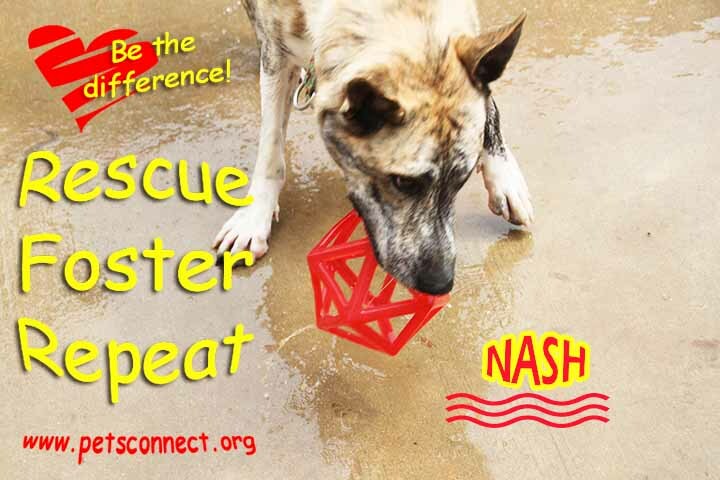 Nash has been in our program for two months during which we have been working with him on doggy social skills, especially the initial meet and greet, manners in general and just given him lots and lots of doggy interaction, human interaction and working with him. I am very pleased with his progress. He no longer views us a walking moving chewy toys. He has gained respect for our presence. 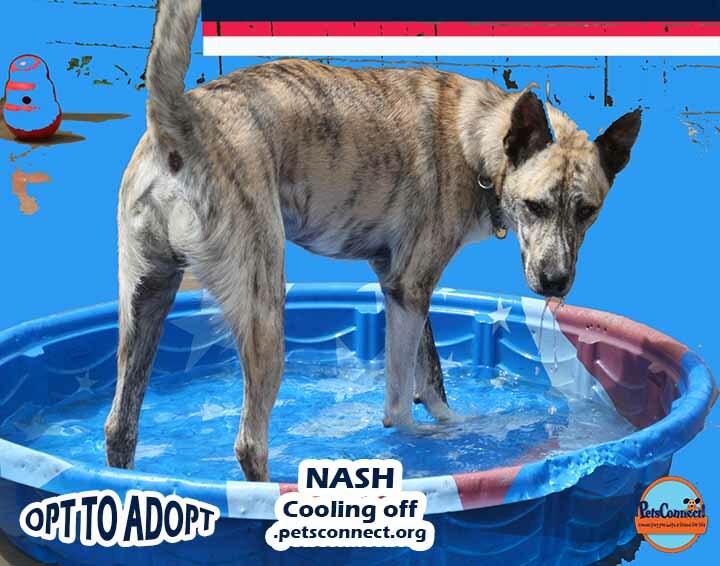 Nash is now meeting new dogs and getting along with them almost instantly. He seems to have learned that being rough does not make a good impression. 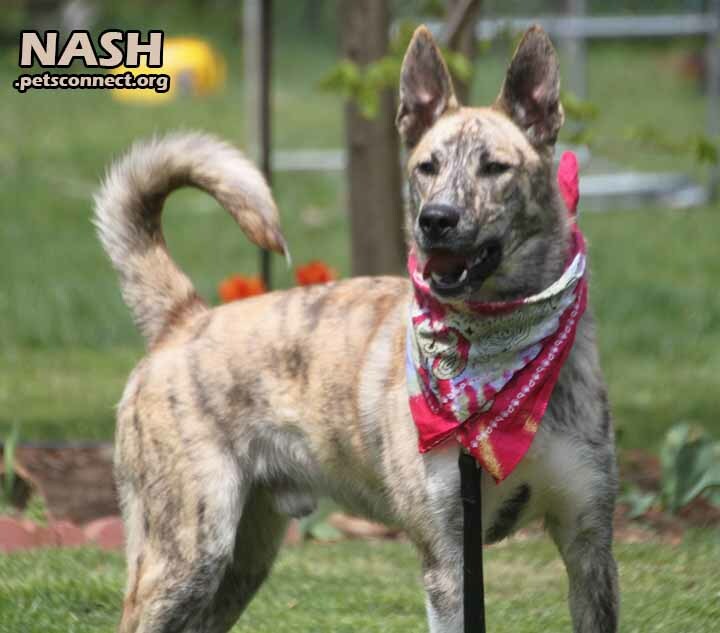 Nash is a self-assured, slightly dominant dog. He needs a firm hand using positive training methods. This dog would be best trained with lure, treat, clicker, platform type training. He has learned to take the treat more nicely. He is better about being touched about the head and neck but whoever adopts him needs to continue desensitization of that area. This goes for brushing him too. He hates to be brushed so we do in small bits of time. He is much better. For someone willing to put in the time, this is a nice dog. And what a looker! Nash has presence, big time. We have not had him around, and I would not recommend a home with small dogs, with cats or children under teen age. I would recommend someone who is committed to spending the resources on training: willingness, money and time. Add some training and this dog is going to be awesome. 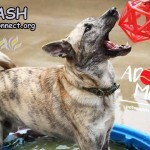 Ok, maybe not as smart alecky as the Nash Bridges character of years ago, but still, this boy has quite the personality! He is funny, can be full of himself and if he could talk I would imagine some of the same comments slipping out of his mouth. 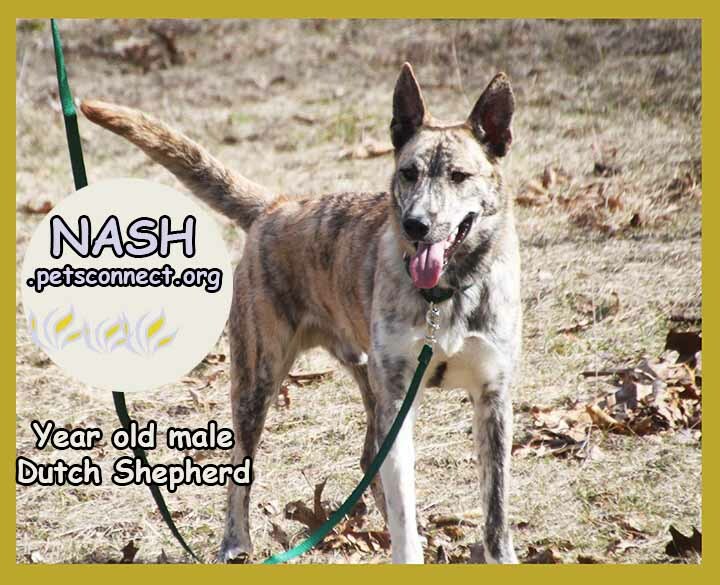 Nash has a sureness about him and he does tend to lean on the dominance side with other dogs and not always the most courteous and respectful when first meeting new dogs ~ but he is learning. 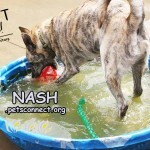 Nash is like this big over grown puppy. He is big, weighing in at over fifty pounds and he is young, a year if that. He is very active and doesn’t seem to realize how big he is. A fenced in yard would really be best for this dog. Not sure about cats and small dogs so for now, let’s just say a home of his own or with another large dog. 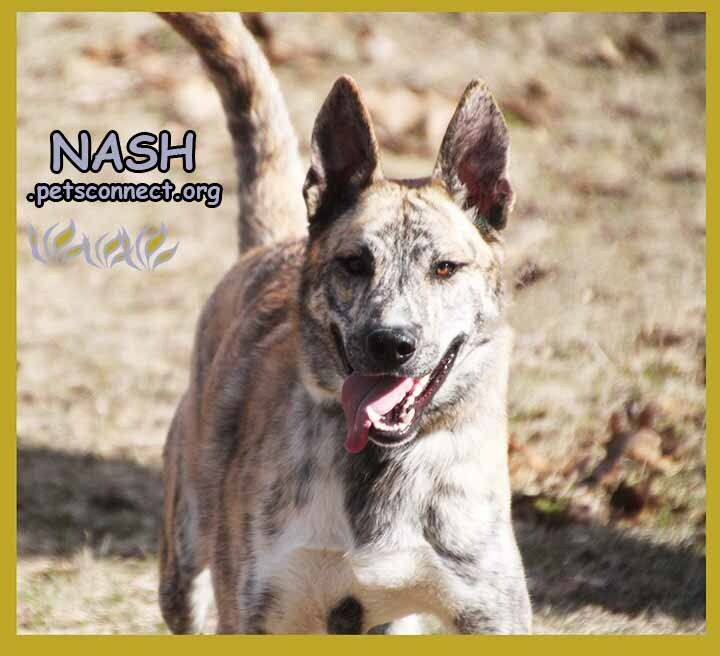 Nash is a sharp boy and picks up fast. He is good in his crate. 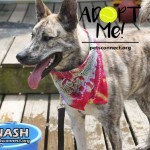 He is said to be house trained but we have not had him inside loose for long times so new adopters will want to keep an eye on him for the first couple weeks. As we get to know him better, he is pretty new to our program, we will post more information. 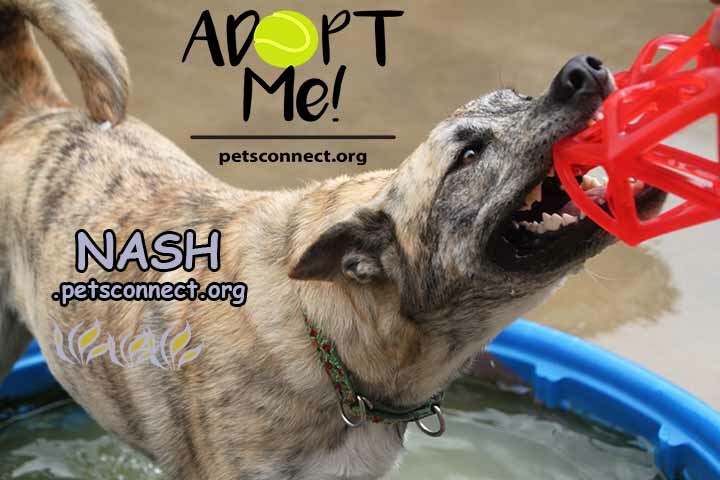 Nash needs someone with some doggy experience and who can handle a touch of attitude. 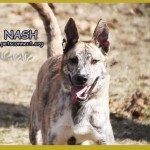 Nash is available for adoption. If you are interested, please fill out an application and email it to us as an attachment.